We are excited to partner again with Raleigh landmark, the Angus Barn. Christmas at the Angus Barn is a magical experience! Endearing, memorable, and full of tradition. 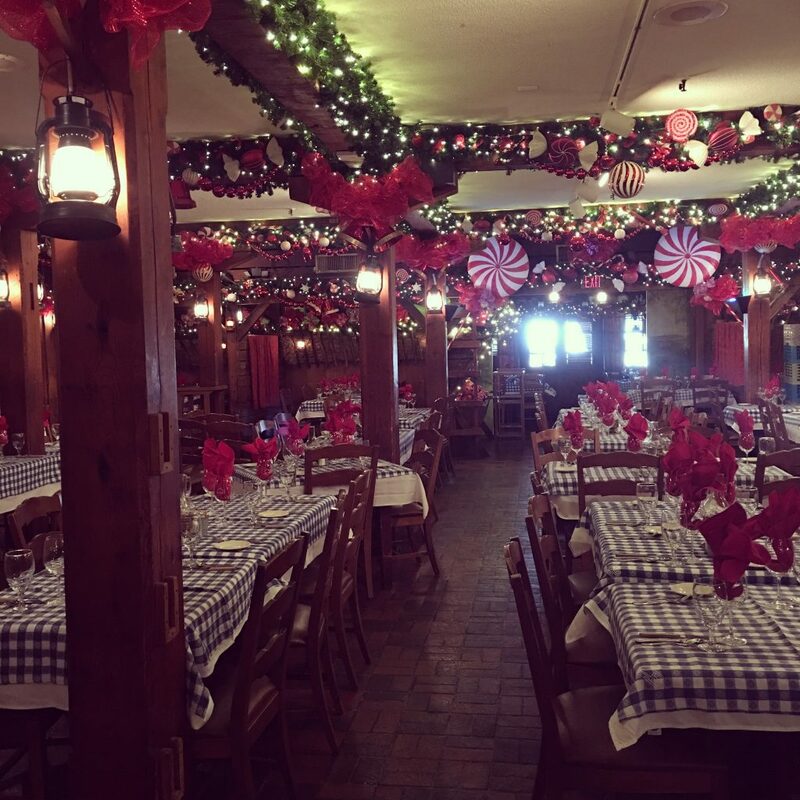 When you come to the Angus Barn for a holiday dinner, you truly walk away with a very special warm holiday feel that is embodied in all of the Christmas décor and lights to the smells and hospitality that you receive while you are celebrating with your family and friends. Each year has its own theme. This year’s theme is trains, which you’ll see throughout the commercial. A toy train and tracks have been installed in the gun room and run around the tree. The Angus Barn incorporates its own families into the holiday season. 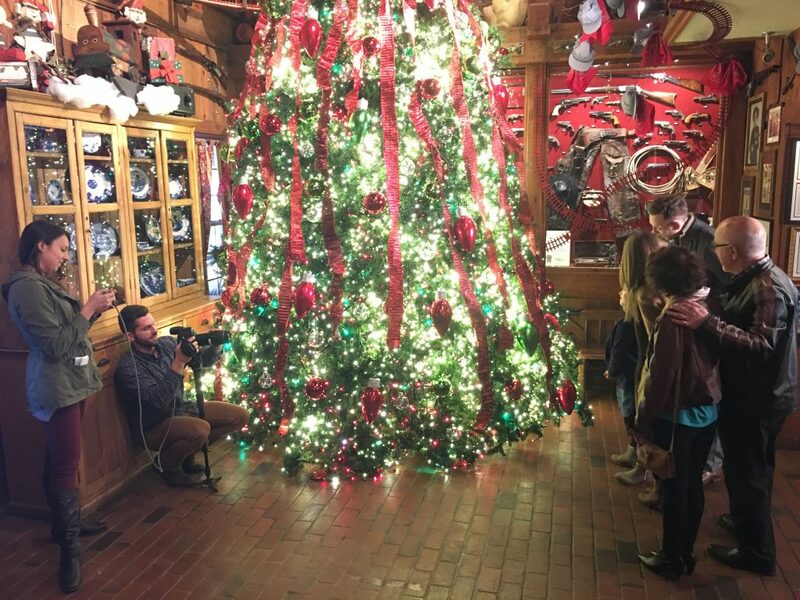 Each night, between two and four children – offspring of Angus Barn employees – dress up as elves and have their photos taken with the children enjoying dinner. This year, two of the children will be dressed as train conductors. 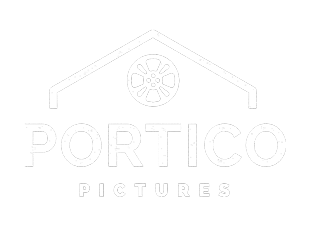 We also incorporated the Portico Pictures family into the film – one of our newest team members, Katelyn Read, and her family! In addition to acting in the commercial, Katelyn recorded an original version of “I’ll Be Home For Christmas” as the soundtrack. The ideas of making memories, creating traditions, and carrying on old traditions inspired us to put our own spin on the Christmas classic, and Katelyn’s version is absolutely perfect for this commercial. Our team worked together to pull this off in just a couple weeks! To create the story, find the talent, and record the score in that timeframe is a small Christmas miracle in and of itself! Portico Pictures is a company that from top down represents what integrity, creativity, and satisfaction represent. Chris and Toni Wheaton and their team are so incredibly thoughtful and open-minded to absorbing the essence of whatever they are tasked with capturing on film or photo. Their entire team does everything for their customer and always creates a thing of magic and beauty. On behalf of Van, myself, and the entire Angus Barn team we are so proud to partner with them in creating special memories for our guests. Alex was the AD on the film and she worked with the talent. Meredith was our producer and oversaw the shot list and script during the shoot. Jonathan was our PA, and Chris was Director/DP. We are so happy with the team effort it took to pull this off and we hope you enjoy the film! ▪ Decorating starts November 1 and continues until Thanksgiving. Between 15 and 20 employees work until about 4 p.m. each weekday putting up the decorations. ▪ There are 30,000 lights on the main 20-foot-tree in the Angus Barn’s gun room, which takes its name from the antique gun collection on display in the room. ▪ All the trees used to be fresh and sprayed with a fire retardant, but the restaurant’s fireplaces were drying the trees out too quickly. It got so bad one year that they had to replace the large tree in the lobby by mid-December because the needles were falling off. Now they only use artificial trees. ▪ There’s a children’s corner under the stairs leading to the Wild Turkey lounge. It has a toy chest filled with toys, and each child can take home one toy. ▪ There’s even a small tree in the kitchen, decorated pink and named after the late Betty Shugart, the Angus Barn kitchen manager who worked there for more than 50 years. ▪ In the off season, the decorations take up a third of a 6,000-square-foot storage area.